Ansonia is another simple station is disrepair along the Housitonic River (its just behind the concrete wall on the otherside of the tracks) on the neglected Waterbury Branch. The is along the waterfront in a town that once had quite a bit of manufacturing. The station itself is low-level with a concrete platform that doesn't look like it's been repaved in many, many years. 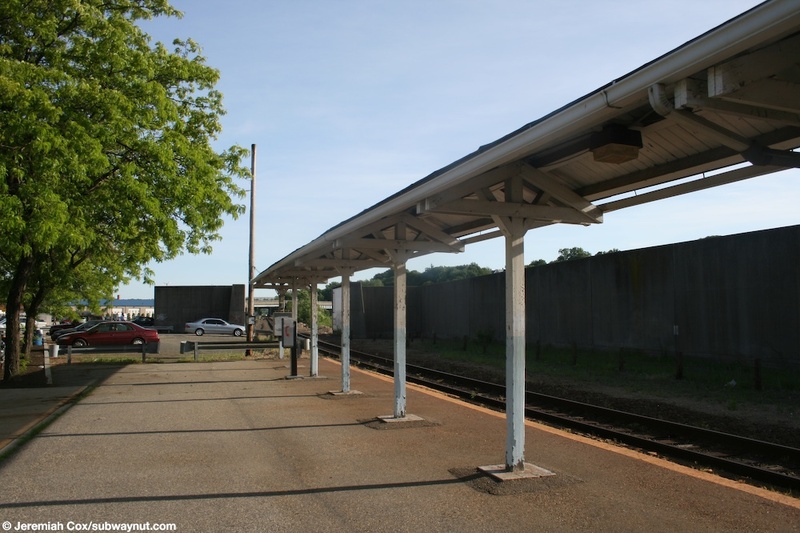 There is a long wooden canopy along the platform that desperately needs to be repaited many colors are visible. The only other platform amenity is a gloorified bus shelter waiting area to protect passengers from the wind where is a small display with the timetable. 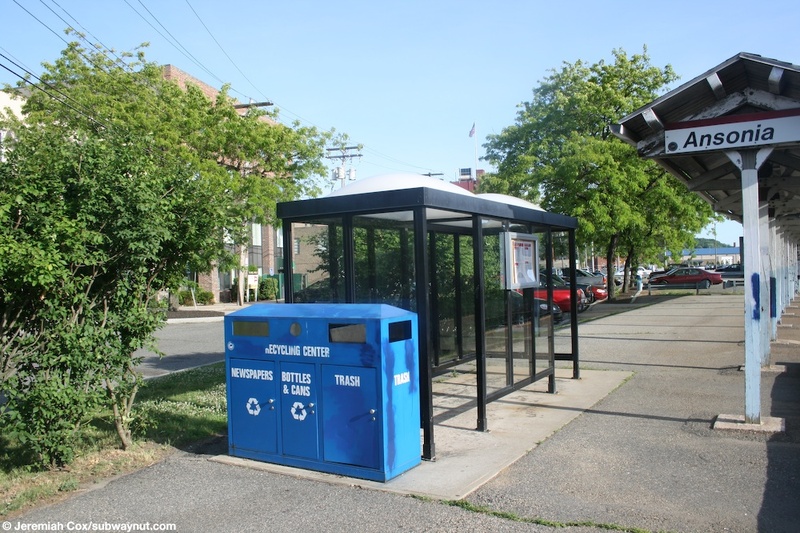 The station like the rest on the Waterbury shuttle has no Ticket Vending Machine so tickets can be purchased on board the train with no surcharges. Looking down the old looking low-level platform at Ansonia, with the wooden platform canopy along with the bus shelter windsreen visible. 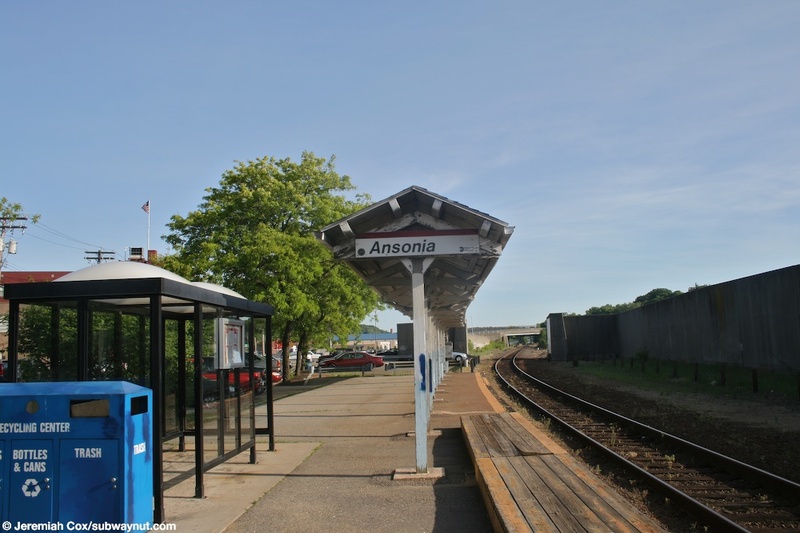 A close up of the glorified bus shelter and an Ansonia station sign with very small text on one side of the wooden canopy. The other end of the quite wide concrete platform at Ansonia with the wooden canopy visible, the only station signs are on either end of the canopy. 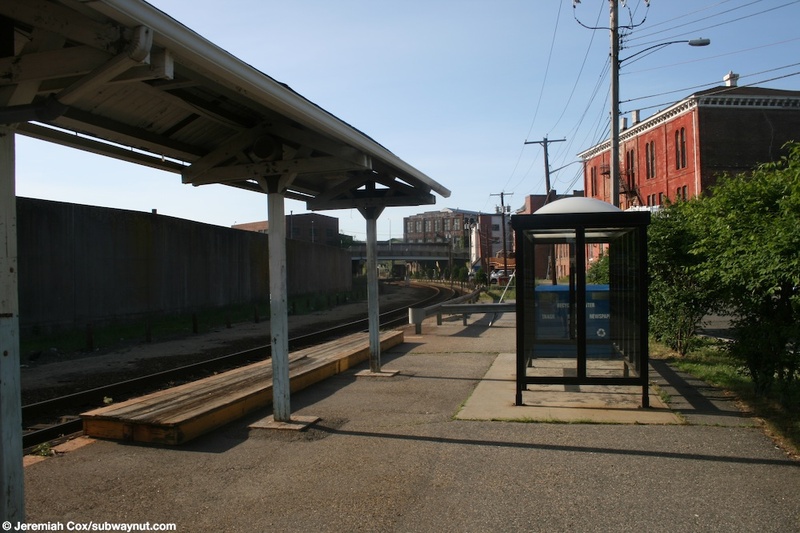 A view of the other end of the platform with the wooden windscreen and glorified bus shelter visible, along with the wooden platform that acts as a six inch boost to get up to the bottom of the stairs to board the shoreliner cars at Ansonia.